CNIH is focused on “Excellence in Education” and plans to meet all educational requirements mandated by the Commission on Dental Accreditation of Canada, the College of Dental Hygienists of Ontario, and the Canadian Dental Association. CNIH is registered as a private career college under the Private Career Colleges Act, 2005. Students of CNIH can expect the highest degree of education due to its state-of-the-art facility, highly qualified and motivated faculty, and experienced management team. At CNIH we strive to provide each student with an unforgettable educational experience. 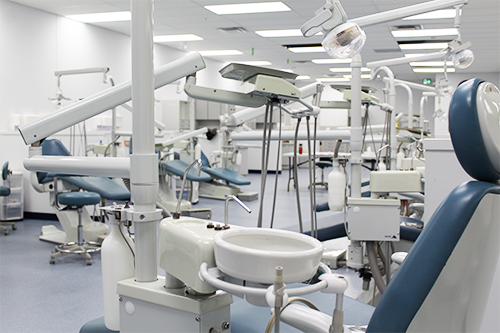 Canadian National Institute of Health, Inc. aims to ensure that its graduates are educated to perform all recognized dental and medical procedures in the most proficient manner using critical thinking skills and effective interpersonal communications. In addition to providing sound theoretical knowledge and an opportunity to develop excellence in clinical procedures our programs are structured to foster attitudes of caring, accountability, and credible work ethics so that graduates are eligible for regulation to practice and continue life-long professional competence improvement. Canadian National Institute of Health Inc. is an innovative healthcare college that advances the life-long educational development of students consistent with their needs, interests and abilities while strengthening the economic, social and cultural life of its diverse community. The college accomplishes this purpose by providing comprehensive, career-focused educational programs and services. This purpose requires a fundamental commitment to education and learning excellence, within a supportive environment. 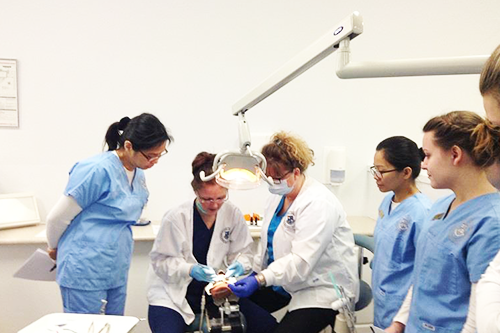 Our goal is to educate the leaders of tomorrow in the career specific disciplines of dental assisting, dental hygiene and diagnostic medical sonography. One of the most important decisions in your life is where you will attend college. Here you can attain the education necessary for your first or next career. Since 2005, our top priority at CNIH has been student success.We recognize that each student is unique with diverse goals and needs. We are dedicated to offering programs that focus on careers that will one day make an impact on society and the workforce. As you take the next step in exploring our college, I am confident that you will discover what I experience daily; staff that provides you with the tools necessary to achieve your educational goals, and faculty members that represent some of the best educators in their programs of study – educators who are dedicated to challenging students and helping them achieve their dreams. Helping students gain real-world knowledge that employers demand is what we have been doing from day one. Serving students with quality is our highest value. CNIH strives to have an impact on the communities we serve by helping today’s students become the professional leaders of tomorrow. This is how we measure success. Thank you for considering CNIH. Congratulations on taking the first step toward your next career. I wish you all the best as you work toward achieving your educational and professional goals. The Canadian National Institute of Health provides a remarkable atmosphere for you to learn, grow and interact with a wide range of gifted and passionate faculty members. Through their teaching and professional work, they will mentor you and help you prepare for a fulfilling and successful career.